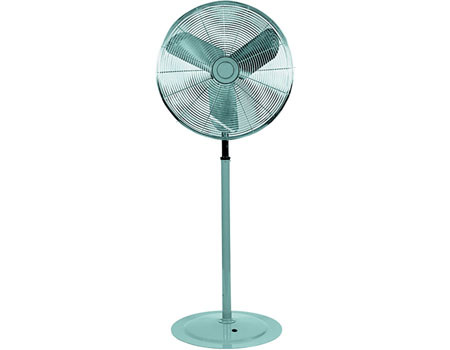 Heavy-duty industrial circulating fans are a great addition to any warehouse where hot weather is a factor. 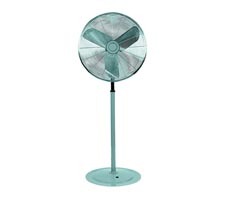 These two speed fans are totally enclosed and permanently lubricated providing years of worry free use. These models feature a 12' long cord and an SJT type 3 conductor. Meets all OSHA standards and is UL listed. Shipping information and costs for this item will be emailed to you when you submit your order. NO orders are processed prior to ship costs being sent and confirmed by you. In small quantities these can be shipped via UPS. A time saving addition to any warehouse. A unique hold-down mechanism ensures safety and reliability. Keep your work area cool and comfortable with these industrial fans.